On Friday, October 26, 2018, you can be one of the participants in a co-creation workshop about the future of nanotechnology in the energy field! How amazing is that. The workshop is jointly organized by the CCiTUB (Centres Científics i Tecnològics-UB) and by RMIT Europe, and is part of a H2020 European Project, the GoNano project (Governing Nanotechnologies throught Societal Engagement). Nanotechnology, in other words, the technology capable of manipulating matter on an incredibly small scale, until it reaches atoms and individual molecules, has become a reality and is enormously impacting the world. Buildings that destroy contaminating agents, non-invasive treatments against cancer, ultra fast loading batteries, smart foods, among many other developments. Nanotechnology is allowing scientists and engineers to achieve things that were impossible years ago. 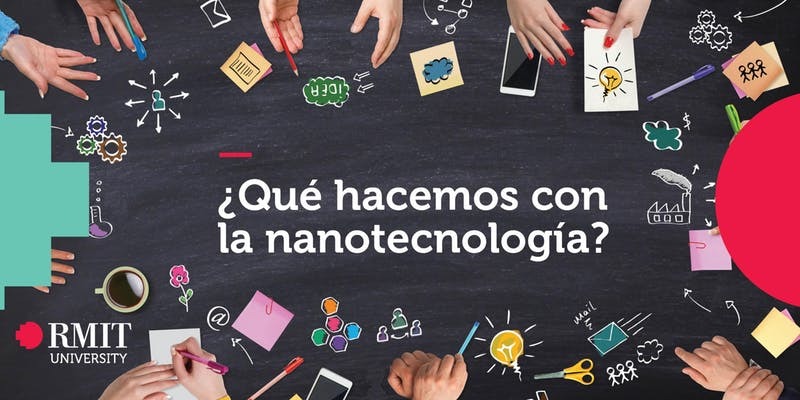 To think about this topic, the RMIT University (as part of the GoNano European project and in collaboration with the CCiTUB of the University of Barcelona) has prepared an interactive one-day workshop, with open access, about "the future of nanotechnology on energy ". The objective is to know what the atendees think about how the improvements in this technology could benefit people, and what concerns exist about possible applications in the supply and storage of energy. Academic training or previous knowledge of nanotechnology is not required. Open access, registration required at this link. The participants will receive a gift-card of 30 € for their participation for the day. Technology of SPM nano-techniques(AFM, STM) and interferometry-confocal of the CCiTUB.